”I studied the exoteric sciences, devoting thirty years to their study, until I had mastered them and was proficient in them,” says the great imam, as-sayyid ash-shaykh Muhammad ibn Ali as-Sanusi. He had studied in Algeria with local teachers, before moving to Fez where he studied for 15 years. While in Fez, he took the Shadhiliyya Nasiriyya, an elite branch of the Shadhili tariqa that is given only to ulamaa. He also took the Darqawiyya and Tijaniyya, and took the Qur’an from shaykh al-Tijani himself. 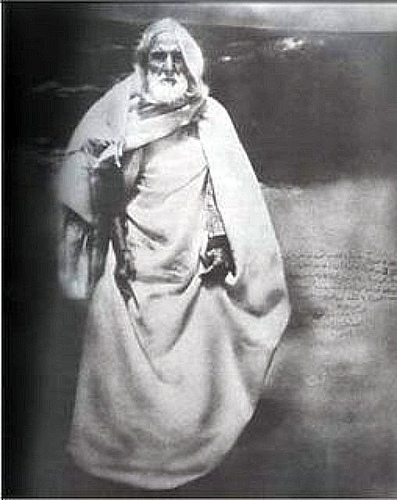 But the shaykh felt that he had not yet found his long-sought goal, the supreme Sufi master whom he had always sought, but not yet found or encountered. So he continued to Mecca to perform the pilgrimage, and there he saw the sayyid Ahmad ibn Idris. “I listened to his lectures on the exoteric and esoteric sciences- his discernment was unparalleled and was confirmed for every science. But I did not accept him for not following the madhhabs. I said to myself: He is a Kharijite! Then I saw the Prophet, salla Allahu alayhi wa Alihi wa sallam, one night.”Oh Messenger of Allah, I request of you the illumination”. He, salla Allahu alayhi wa Alihi wa sallam, said: “Your illumination will be at the hands of Ahmad ibn Idris.